If you’re looking at buying a new headset from Plantronics, you’d be forgiven for getting a little confused at the sheer number of models they offer in their 400, 500 and 800 series, some with subtle differences or console-exclusive features. 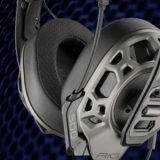 The new Plantronics RIG 500 Pro Esports Edition arrives as the most expensive option within the 500 series, coming in at AU$199, but it also offers a modular experience that serves as an all-in-one solution. The RIG 500 Pro Esports Edition feels surprisingly sturdy given how lightweight it is, thanks to the flexible but firm metal ‘exoskeleton’ frame. While I haven’t been game enough to flex and bend it to its maximum, I have been pretty careless in how I throw the RIG 500 Pro into my bag back and forth from the office while reviewing it, and I’ve never worried it would be damaged at all. As is Plantronics tradition, the ear cups are fully detachable from the frame to adjust them along the band which is terrific, although the little plastic cylindrical nubs which hold them in place feel a little cheap and feel like they could be a bit more secure. There’s also no RGB lighting here, and I should note that the headset is not wireless despite many competitors at around the same price point are. Noise isolation is fine, but not amazing – Plantronics tout a unique design with “noise-isolating acoustic chambers” and isolated closed-cups with dual-material padding, but you’ll still be hearing a fair bit of outside noise depending on your environment. 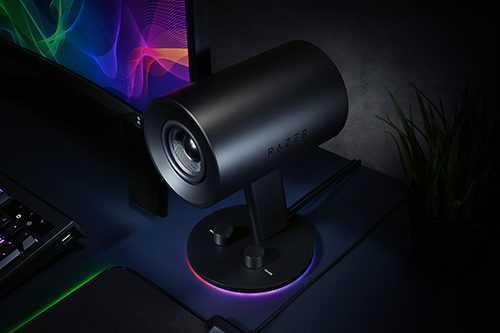 Sitting at home playing games with nobody else around was, of course, absolutely fine, but using the RIG 500 Pro to listen to music in the office wasn’t ideal. However, I have to say that once you’ve got the headset set up the way you want it is pretty damn comfortable, especially for long gaming sessions. Plantronics do include two ear-cup options in the pack, a faux-leather variant and a more breathable fabric, though which will suit you better is entirely dependent on your preferences. The cushioned headband looks a little tight at first glance, but it was easily able to stretch over my fat head comfortably as well. 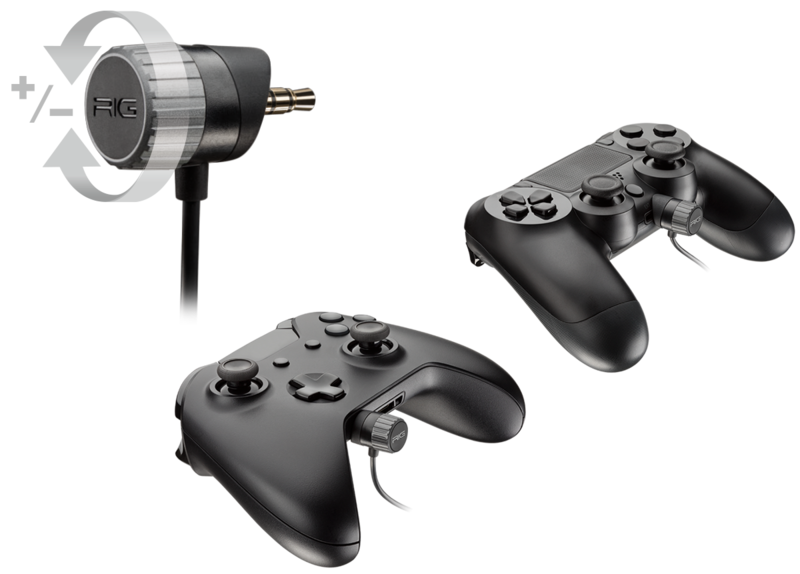 The RIG 500 Pro Esports Edition comes with two different 3.5mm audio cables for connecting to devices. One features inline volume controls and is meant for PC or mobile devices, but it lacks a ‘mute’ button for the microphone (which you think would be standard). However, more interestingly the other cable has a circular volume dial around the 3.5mm jack, along with a mount for a little plastic bracket to fit on the underside of the PlayStation 4 or Xbox One controller. Both little pieces of plastic are included in the set, and once clicked on it works a treat just on pure convenience alone. Not having to adjust volume via inline controls or headset-mounted controls is a godsend, especially when both of your hands are on the controller anyway, and being able to make minor adjustments on the fly is no trouble at all. Both cables are disappointingly quite short, unfortunately, which I could understand for the cable intended for the controller, but it’s not quite so forgivable that both end up having so little slack. Touching briefly on the microphone, its quality is decent for voice chat in-game, but not something you’d necessarily want to use for podcasting or clear voice recording without some post work to clean it up, although positioning it far enough away from the ear cups and your mouth does help. While there are no in-line controls for mute, you can raise the microphone’s arm to mute it. 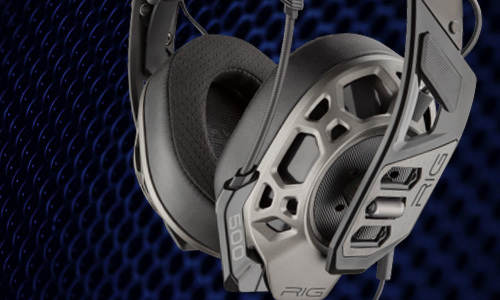 As for how they sound, the RIG 500 Pro Esports Edition shines with 50mm drivers that sound great for just about everything you want to throw at it. Shooters like Battlefield have enough punch to bullets, while the more ambient soundscape and music of a game like Spider-Man still sounds immersive, with sound effects coming through crisp and clear. Lows, mids, highs are all easily distinguishable, making them a solid choice as an all-rounder set of cans. There’s not really any tweaking you’ll need to do in your audio settings on console or PC to get them sounding right. The great, solid sound on the RIG 500 Pro Esports Edition makes it an easy choice for anyone looking for a comfortable headset for any kind of gaming session, and its modular design has a few nice perks like the way its volume dial can fit onto your controller. It is the top-of-the-range choice for the 500 PRO series, and the same high quality 50mm drivers can be found across the entire range, meaning that if you don’t need quite the amount of flexibility the Esports Edition offers, there are cheaper options available. At AU$199, the headset is competing with other manufacturers who offer flashier features like RGB lighting or wireless connectivity, which make it a little harder to justify the price. However, if all you need is a good quality headset you can comfortably use between multiple consoles and your computer, then the RIG 500 Pro Esports Edition is hard to pass up.